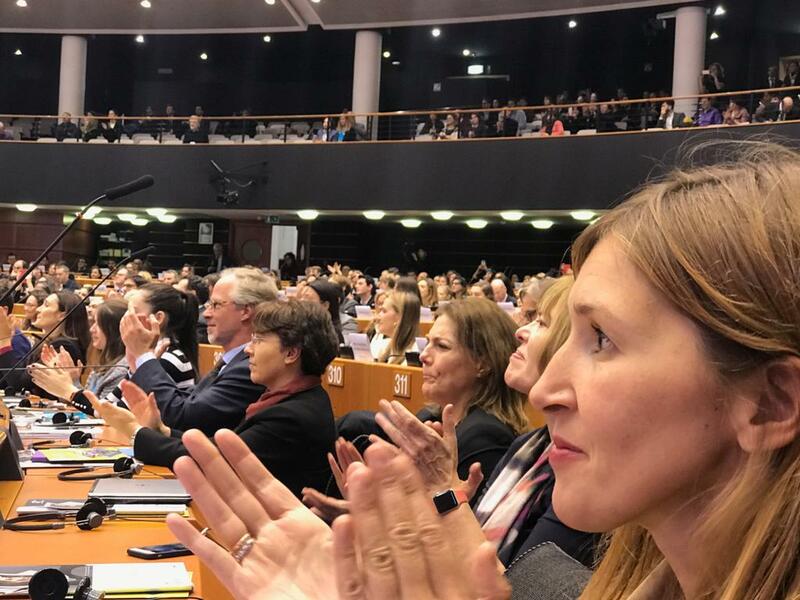 On the 70th Anniversary Universal Declaration of Human Rights (1948-2018), the Hemicycle of European Parliament from Brussels hosted on 20 November 2018 a High Level Conference. At this historical international conference have been invited to speak illustrious international and regional actors as: António GUTERRES - Secretary General of the United Nations, Michelle BACHELET – United Nations High Commissioner for Human Rights, Antonio TAJANI – European Parliament President, Federica MOGHERINI – Vice-President of the European Commission and High Representative for Foreign Affairs and Security Policy, Thorbjørn JAGLAND – Secretary-General of the Council of Europe, Katarzyna GARDAPKHADZE – First Deputy and Director of the OSCE Office for Democratic Institutions and Human Rights, Stavros LAMBRINIDIS – EU Special Representative on Human Rights, Claude MORAES – Chair of the European Parliament´s Committee on Civil Liberties, Justice and Home Affairs, Pier Antonio PANZERI – Chair of the European Parliament's Subcommittee on Human Rights, David MCALLISTER – Chair of the European Parliament's Committee on Foreign Affairs, Emily O'REILLY – European Ombudsman, Beate RUDOLF – Chair of Global Alliance of National Human Rights Institutions (GANHRI) and Member of the Board of the European Network of National Human Rights Institutions (ENNHRI), Fatou BENSOUDA - General Prosecutor, International Criminal Court. 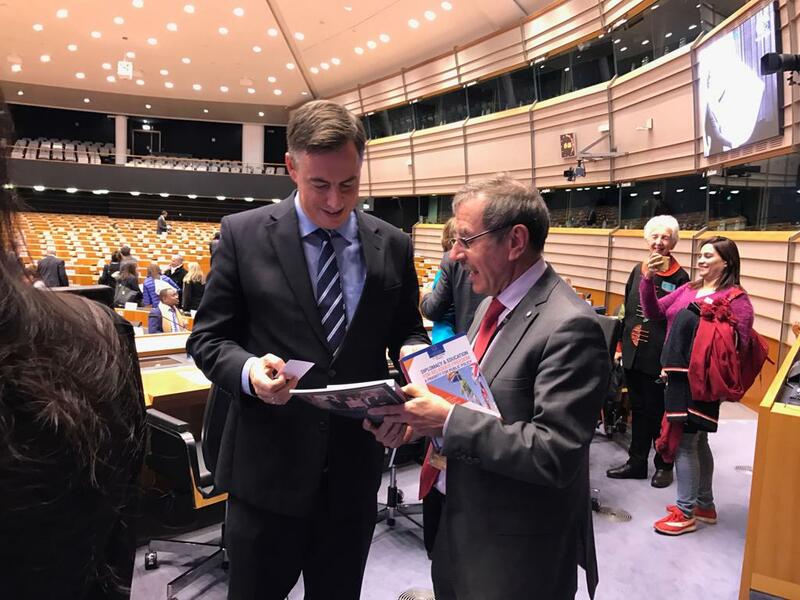 Liviu OLTEANU - Secretary General of the International Association for the Defense of Religious Liberty (AIDLR) was also one of the few international organizations invited to take the floor at this historic 70th Anniversary of the UDHR. I’ll introduce to you below some remarks belonging to the keynote speakers. 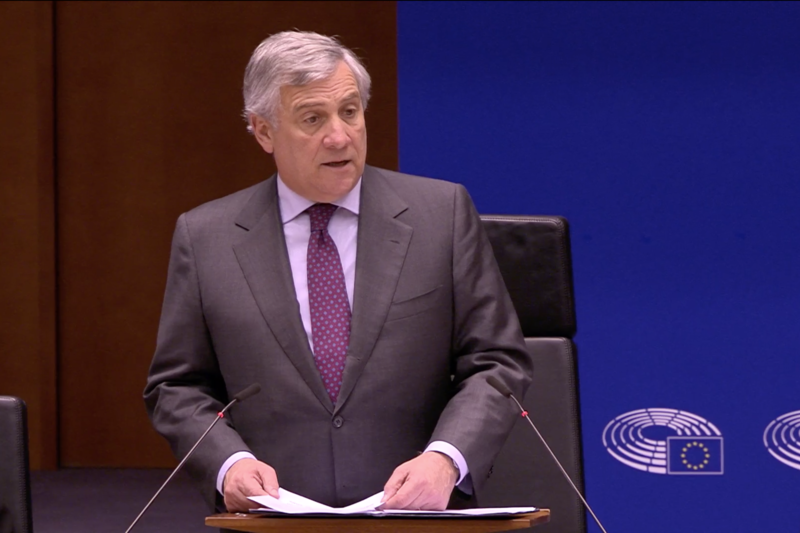 Antonio TAJANI underlined at the beginning of the Anniversary that “We live in a world that is marked by the emergence of destructive populist, nationalist trends so we need to build on our legacy and make the Universal Declaration a living one. Eleanor Roosevelt expressed that the documents which express our ideals only work if people know them, understand them, and if people demand for these rights to be enacted. 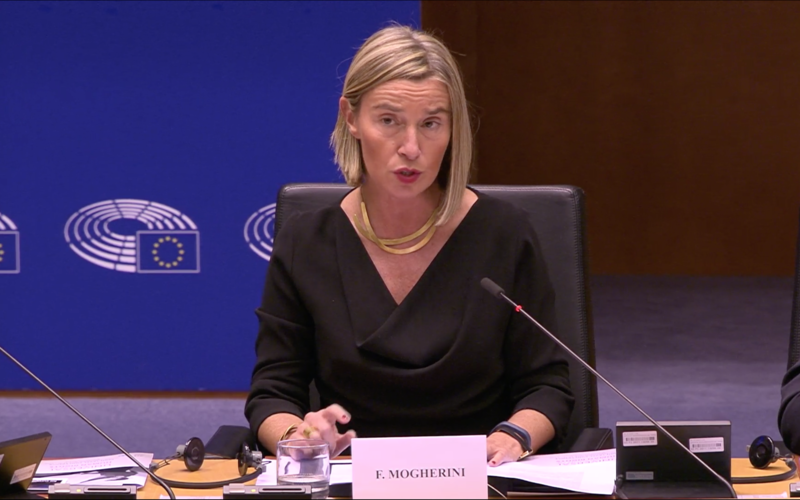 Federica MOGHERINI stressed that the Universal Declaration on Human Rights was written and we are still working to turn each and every word from that Declaration into practice and a big part of our collective work is carried on by NGOs so I would like to thank very much and really sincerely you from civil society organizations and those working to defend human rights”. 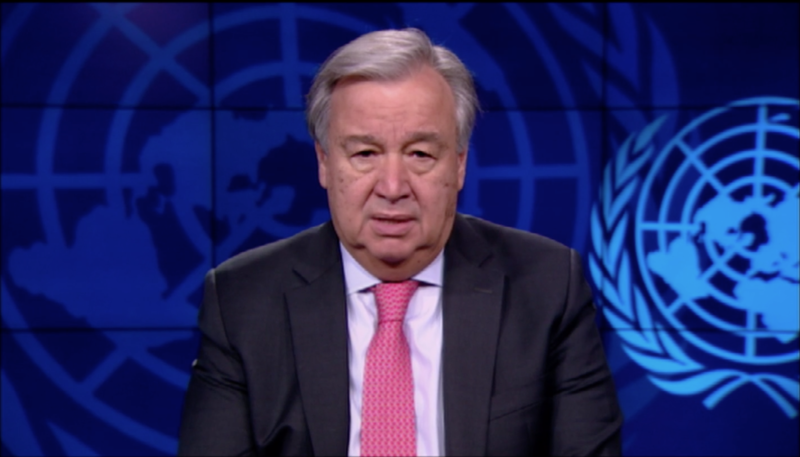 António GUTERRES observed and reminded how: “The Universal Declaration of Human Rights proclaims our shared vision of human progress and well-being, but too many gaps remain, and today we are seeing a dangerous erosion of fundamental rights and freedoms, democratic principles and the rule of law, refugees, migrants and minorities face rising hatred and attacks”. 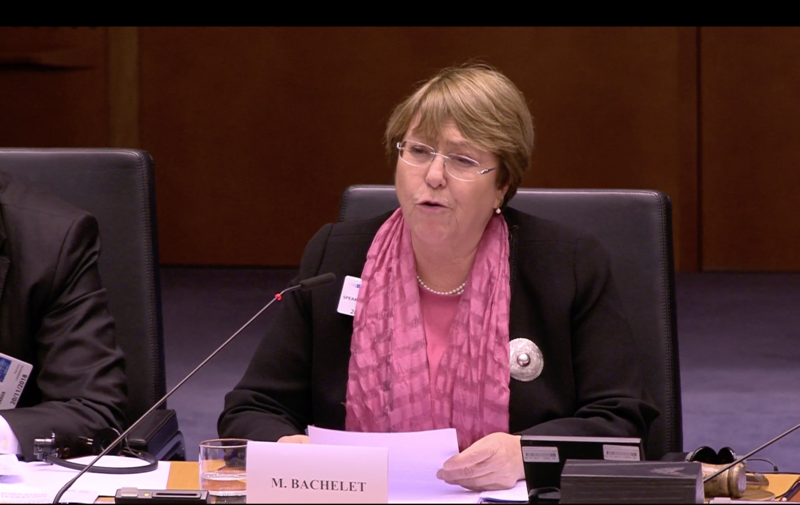 Also Michelle BACHELET underlined: “Human rights values are powerful and continued to drive in man's positive change, but all of us are aware of the turbulent and increasingly polarized context in this 70th anniversary a rising wind of divisiveness undermines peace and conflicts are contributing to unprecedented levels of displacement…the right of many ethnic and religious communities are being contested”. 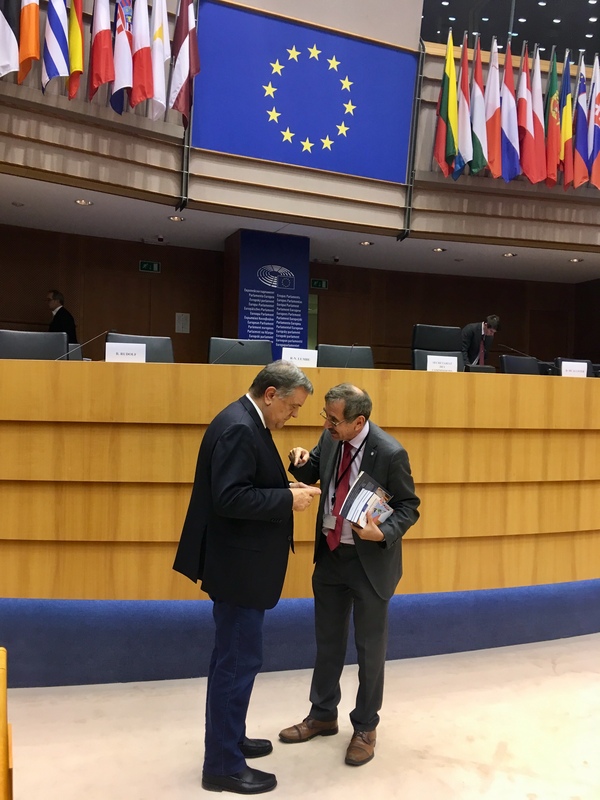 Pier Antonio PANZERI spoke that: “It is our responsibility more than ever to protect all the legally binding treaties on human rights as well as facing new challenges”. 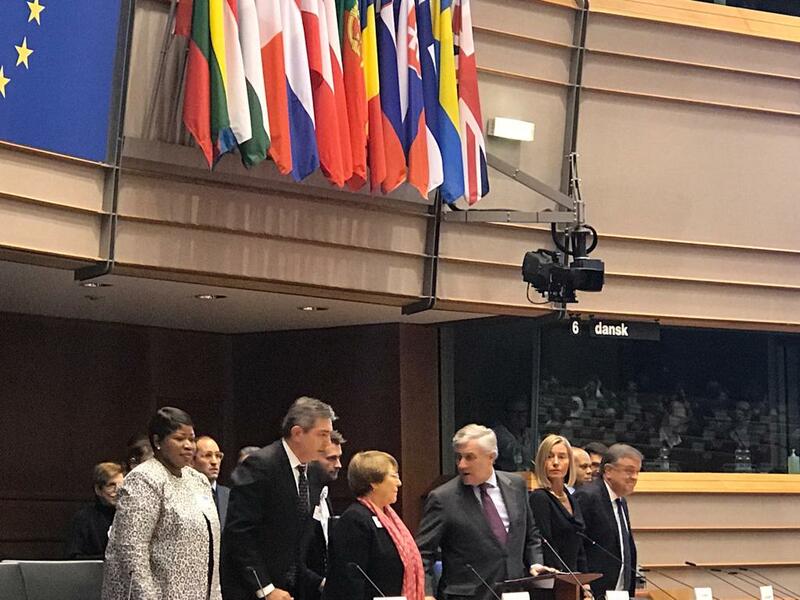 Fatou BENSOUDA too said: “We no longer accept that victims of the worst human rights violations should suffer, we no longer accept that perpetrators of those most heinous crimes be allowed to escape justice. 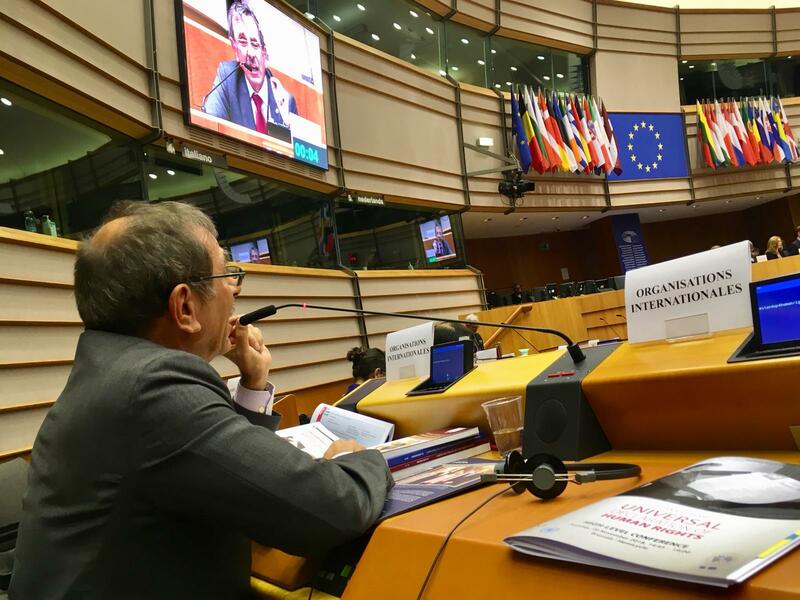 Stavros LAMBRINIDIS also stressed: “We are human beings; you cannot kill me, you cannot throw me in jail just because you don't like me, and that's because I have human dignity that's the simplest thing that the Universal Declaration of Human Rights said 70 years ago”. 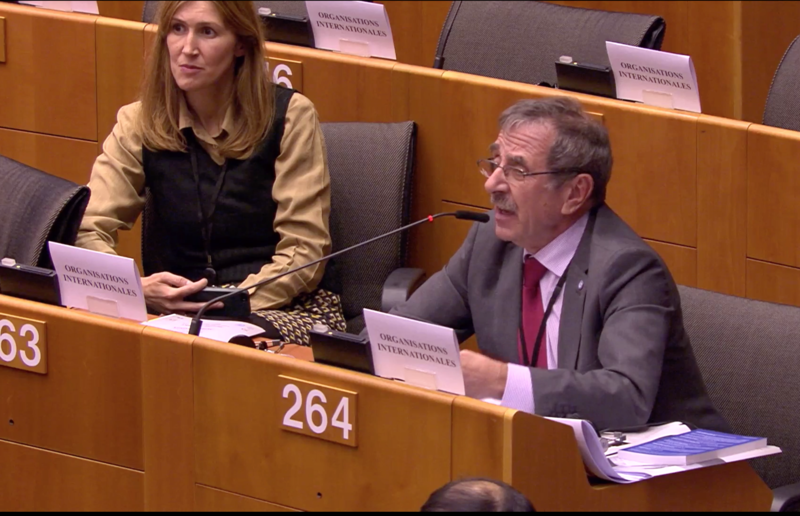 Emily O´REILLY reminded: “The fundamental role of the Ombudsman is to protect citizens from the abuse of state power when that state is administering its laws and regulations”. 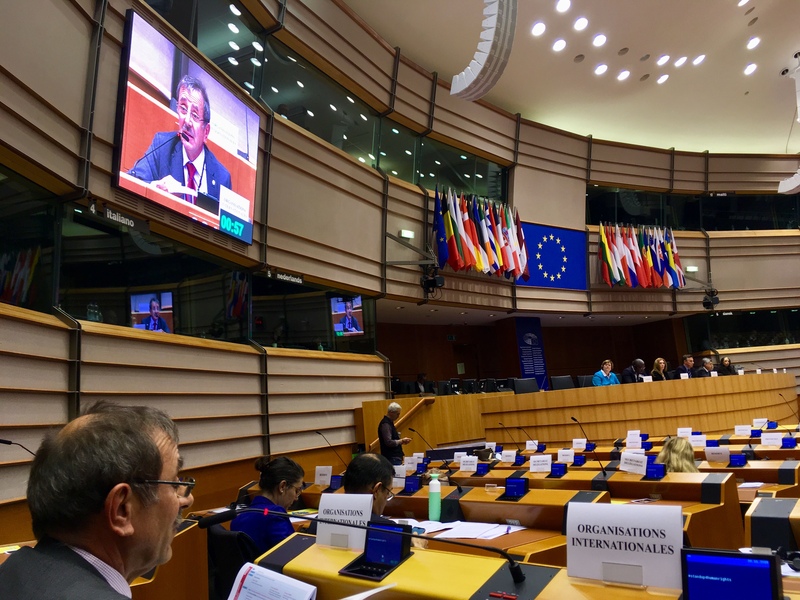 Claude MORAES underlines too: “Today if we have the European Union´s values, we have to understand Universal Declaration of Human Rights is something we have to refresh, we have to make relevant and we have to understand there are very practical applications”. 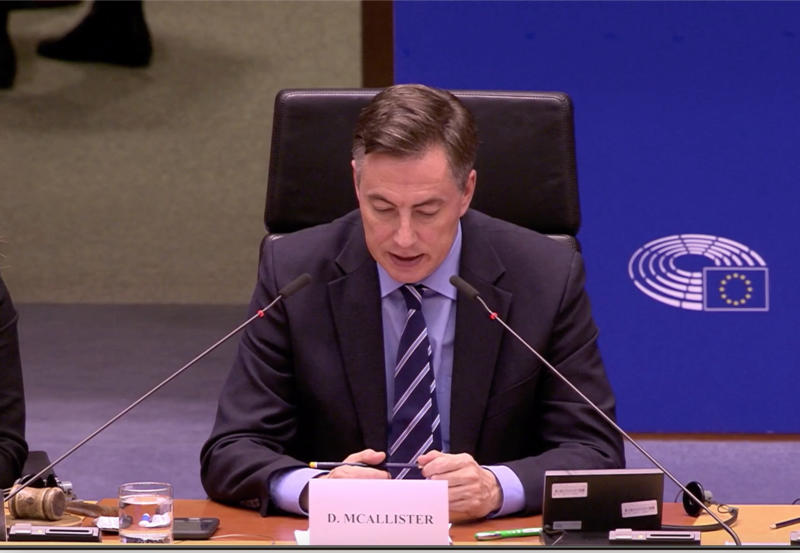 David MCALLISTER reminded: “We are in the European Union, in this space in the European Parliament to be re-staking the lead and celebrating brave individuals and organizations surrendered to protect and defend Human rights through our Sakharov Prize”. 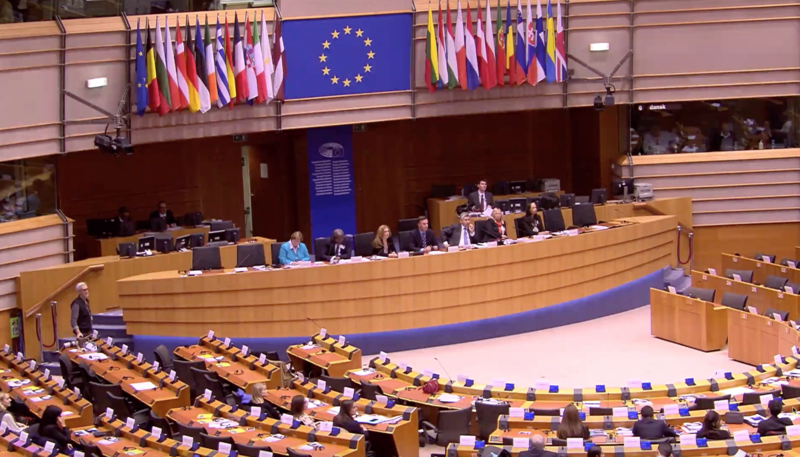 Thorbjørn JAGLAND – Secretary-General of the Council of Europe highlighted: “ In Europe today, the right wing extremism, nationalism and populism threatens to undermine multilateralism and common values. 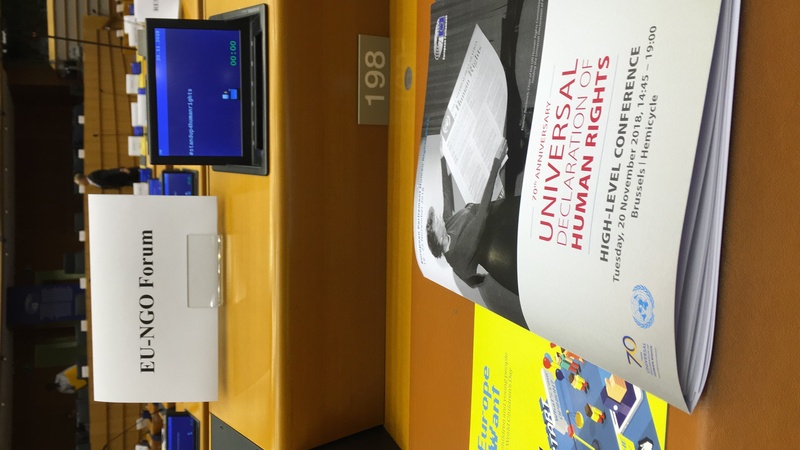 So let this Human Rights being the opportunity not only to highlight our cooperation with one another, the government and the civil society, but to speak loudly and proudly about what human rights have achieve for each and every European”. 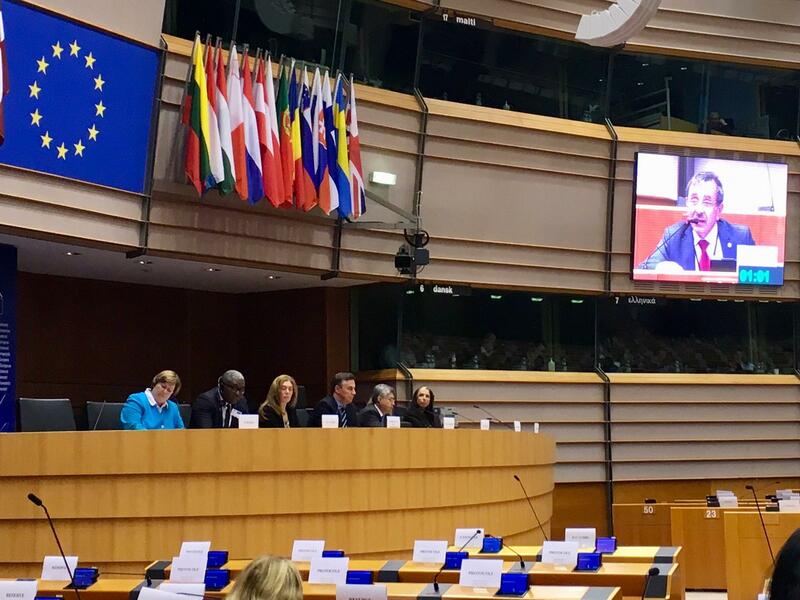 Katarzyna GARDAPKHADZE: “I want to stress the need to give a human face to the Universal Human rights”. 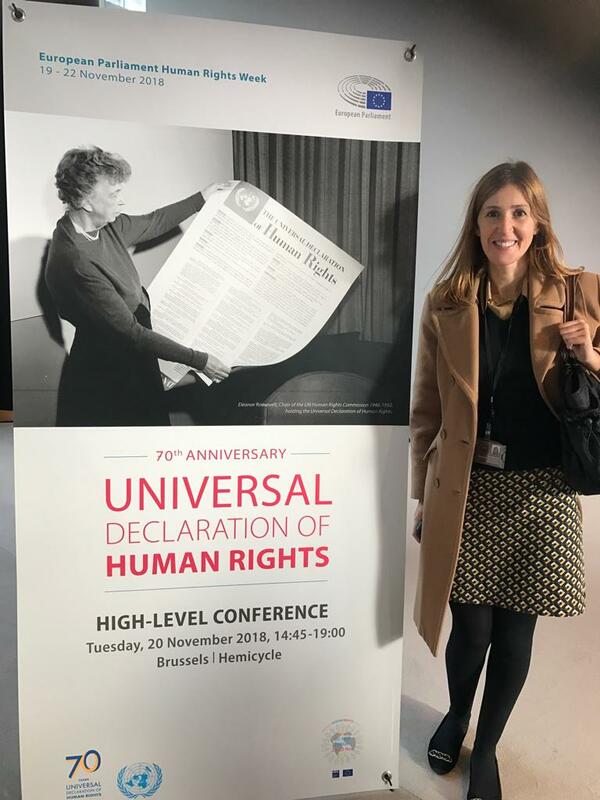 Beate RUDOLF said too: “I will try to set out how national human rights institutions, NGOs´s raise support the universalism and the implementation of the human rights obligation and to make a reality of Human Rights for all”. 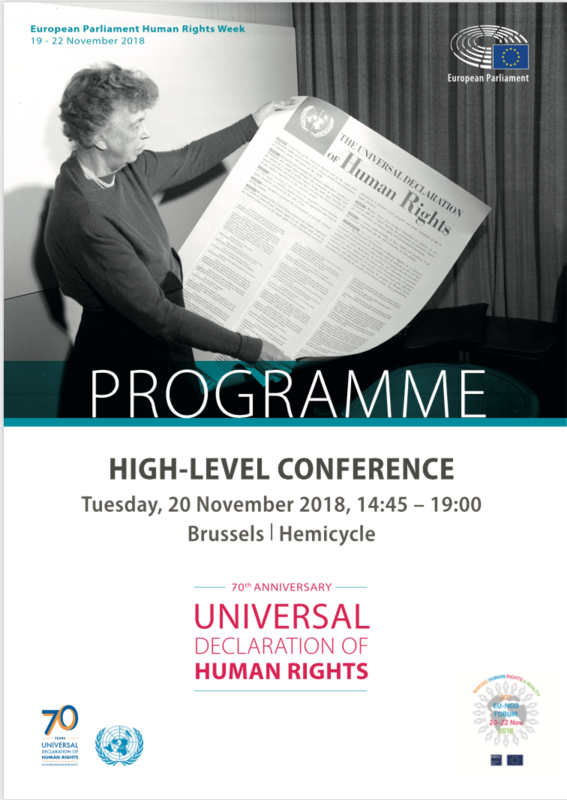 At that High Level Conference talked also: Joel HERNANDEZ GARCIA – Commissioner Inter-American Commission on Human Rights and Rémy NGOY LUMBU – Commissioner of the African Commission on Human Rights and Peoples Rights and Patrick GASPARD, President of the Open Society Foundations. After his introduction, Liviu Olteanu focused on a problematic development which can be seen in some countries - and with an allusion to the concerned ‘Draft Law of Religious Freedom’ which is prepared by Bulgarian Parliament. 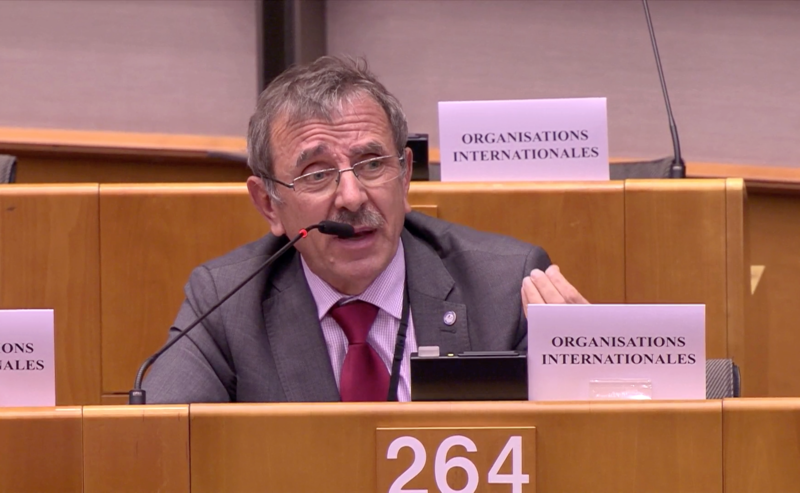 Liviu comments have been on: “We need - fostering together - to defend freedom of religion, freedom of thought and freedom of assembly, because only in this way, defending the fundamental rights, we can protect better our society. In this context of the core values underlined above by Eleanor Roosevelt, my question for the distinguished panelists is: “How can be avoided the use of the ‘national security’ affecting migrants, refugees and religious minorities? How do we can protect the fundamental freedoms? GARDAPKHADZE underlined in her answer too: “About freedom of religion or belief and security as you are probably well aware, we have produce a document discussing exactly this, discussing where is the borderline under which or up to which security can be used and where religious freedoms cannot be compromised in any circumstance in the name of national security and we are taking get up with governments which requires of course, political will; and that takes me to the second point which is about synergies that was mention here . I do belief that we have a massive space for improvement when it comes from international and regional mechanisms to learn from each other to teach others and to engaged in collective action because as long as we act individually in our own asides, our effectiveness is much more smallest”.